Fremont, CA, February 21st, 2019 – CORSAIR®, a world leader in PC gaming peripherals and enthusiast components, today announced the launch of DOMINATOR PLATINUM RGB DDR4 Memory, raising the bar once again for premium, world-class DRAM. DOMINATOR PLATINUM RGB delivers the high performance that custom PC enthusiasts demand for their cutting-edge systems, while renewing the celebrated and iconic design of DOMINATOR PLATINUM. A fully updated aluminum heatspreader, hand-sorted memory chips, frequencies up to a record-setting 4,800MHz, and individually addressable RGB lighting – a first for a DOMINATOR PLATINUM module – combine to create DDR4 memory that’s in a class of its own. Each module of DOMINATOR PLATINUM RGB represents the pinnacle of premium craftsmanship, starting with a custom 10-layer PCB that guarantees signal quality and stability. Every memory chip is hand-sorted and tightly screened to ensure tight response times and high-frequency performance, with kits available from 3,000MHz to an incredible 4,800MHz, with ample headroom for overclocking. DOMINATOR PLATINUM RGB stays cool even under extreme stress thanks to CORSAIR’s patented Dual-Path DHX cooling technology, which cools the module through both the anodized aluminum heatspreader and copper planes embedded directly into the PCB. A die-cast zinc-alloy top bar houses DOMINATOR PLATINUM RGB’s 12 ultra-bright CAPELLIX RGB LEDs, the first time CORSAIR has used this all-new LED mounting method. At just 0.2mm³, CAPELLIX LEDs improve upon conventional LEDs in almost every measurable way, able to shine brighter and last longer, while using less power with higher energy efficiency. This results in more vivid, stunning lighting than with any other RGB memory currently available, without impacting performance or thermals thanks to their greatly reduced power consumption. 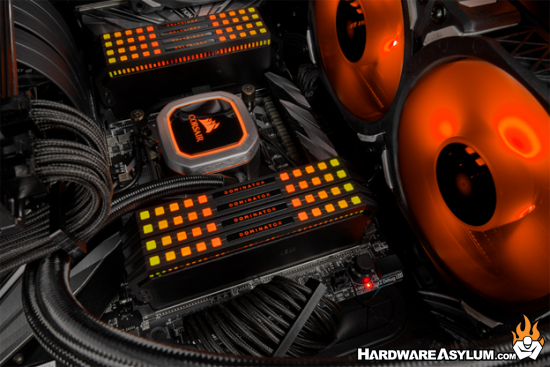 CORSAIR iCUE software enables powerful control and customization over DOMINATOR PLATINUM RGB. Make sure your memory is running at its full potential with real-time system monitoring that tracks temperature and frequency. iCUE’s dynamic RGB lighting customization lets you choose from dozens of pre-set lighting profiles, or create your own patterns and effects with complete control over each individual LED. iCUE can also synchronize lighting across all of your iCUE-compatible devices for truly intricate system-wide lighting effects. DOMINATOR PLATINUM RGB is available in a wide array of capacities and frequencies and sold in kits of two, four, and eight modules. DOMINATOR PLATINUM RGB also becomes the fastest air-cooled production memory kit available today with the 4,800MHz, 2 x 8GB kit, running on ASUS Z390 Maximus XI GENE and Z390 Maximus XI Apex motherboards and an Intel® Core i5 8600k CPU. For PC building enthusiasts who demand both uncompromising performance and gorgeous visuals to complement the look of their system, DOMINATOR PLATINUM RGB is strictly in a class of its own. 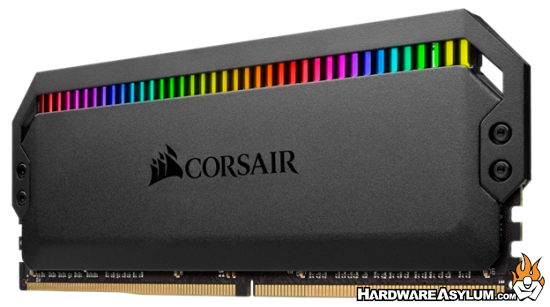 CORSAIR DOMINATOR PLATINUM RGB DDR4 Memory is available immediately from the CORSAIR worldwide network of authorized retailers and distributors, as well as direct from the CORSAIR webstore. Some select SKUs of CORSAIR DOMINATOR PLATINUM RGB DDR4 Memory are exclusive to the CORSAIR webstore. With all the hype around the new foldable phone technology I am asking myself "why" and by the sounds of it so is this OPPO Exec. Oppo VP Brian Shen took to Weibo today to unveil the company’s foldable phone concept. It looks like the same kit used by Huawei and it’s unclear if Oppo will release the device. Shen notes the company doesn’t think a foldable phone improves the user experience, which is why the company is hesitant to move the device into production. This is a smart move from the Chinese phone company. While OPPO isn't a mobile device company in the US they are very popular in AsiaPacific and in a way I share his concerns. For instance we have all witnessed "tech for the sake of tech", we had an entire year where motherboards were gold colored, and we’ve seen the rise and fall of the dedicated overclocking motherboard and the slowly escalating competition to add more stuff to motherboards including RGB and watercooling components. These I would view as advances for the sake of advancement. They do nothing to improve the user experience of a motherboard beyond the niche market for which they are designed and most of them ended up being partially responsible for the downfall of the custom enthusiast motherboard market. Will foldable phones meet the same end?? I think yes. Thing is, right now companies are dealing with the peer pressure from "vocal" consumers who are attacking companies who haven't been playing follow the leader. It will be interesting to see how this situation "unfolds" and if we are lucky Oppo VP Brian Shen can say "Told you so". Have to admit I'm a little jealous here. When I was at Computex 2018 MSI had just launched the X399 MEG for Threadripper and I was very impressed with not only the motherboard but the pack of accessories. One notable is the M.2 expansion board allowing you to run M.2 drives and not impact board locations for other expansion cards like the all important 4-Way graphic card setups that NVIDIA refuses to support and capture cards. 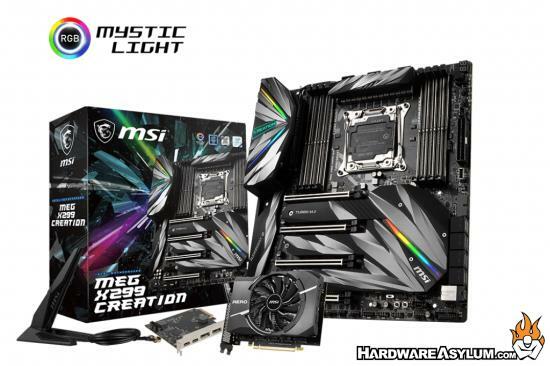 MSI has been really good about including "auto overclocking" support with all of their motherboards with the latest version being a performance dial which, you guessed it, goes to 11. Given that we live in a Windows world it is sometimes easy to forget that there is another OS popular with PC Enthusiasts. Guess what? Linux can use NVMe SSDs too! Announced at the end of January was the Samsung 970 EVO Plus as the first consumer-grade solid-state drive with 96-layer 3D NAND memory. 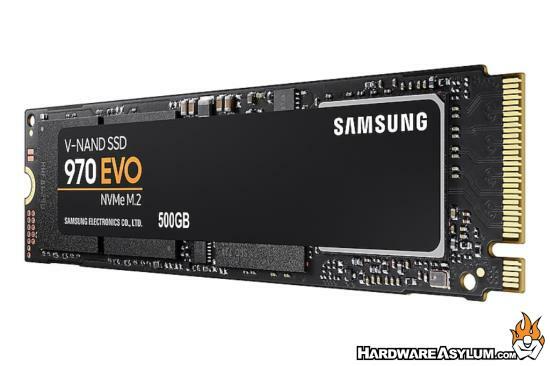 The Samsung 970 EVO NVMe SSDs are now shipping and in this review are the first Linux benchmarks of these new SSDs in the form of the Samsung 970 EVO Plus 500GB MZ-V7S500B/AM compared to several other SSDs on Linux. 96-Layer NAND is the new corner stone of affordable SSD storage allowing you to pack more data into less space. But, what does it do to the performance? There comes a time when you sometimes regret reviewing something. Don't get me wrong I have reviewed my fair share of bad hardware, some of it has been published though most just gets abandoned. The ZOTAC AMP Extreme is "not" ono of them. In fact my only regret is the deal I had to strike to get one AND the fact there hasn't been one since. You see sometimes hardware leaves an imprint and no volume of drink or juicy apple can fill the void. Well, Funky Kit knows my pain and given their proximity to ZOTAC HQ and ability to barge into Computex meetings with cameras blazing which totally distracts the people I'm talking two has likely secured their place in the linup to get a RTX 2080 Ti AMP Extreme. 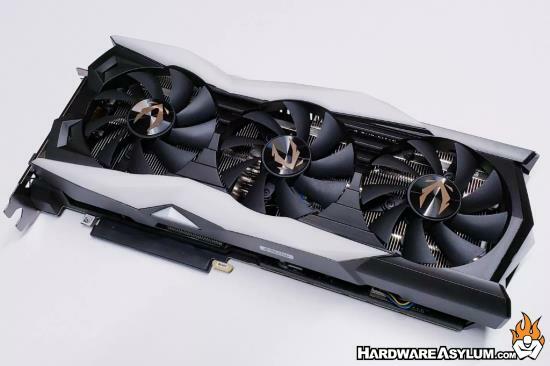 The ZOTAC GAMING GeForce RTX 2080 Ti AMP Extreme is truly a beast of a graphics card, and is more than worthy of our Editor’s Choice award based on its phenomenal performance. If you have really deep pockets, and money is no object … then this is one of the fastest graphics card you’ll ever get. Battlefield V is finally supporting DLSS on GeForce RTX enabled video cards, increasing performance and making environment look much more realistic. This is something that was mentioned during CES with the RTX2060 launch is that enabling one technology caused a perfornance hit but the Tensor cores were there to "restore performance"
NVIDIA purports DLSS to be an important feature for RTX 20-series users because it lets them make up a big chunk of performance lost by turning on RTX real-time raytracing. Despite all its refinements, Battlefield V ended up imposing a 20-30 % performance penalty (dubbed "RTX tax") for turning on DXR Reflections. DLSS lets you file returns on that tax. In this review, we explore the image quality obtained by turning on DLSS and its impact on performance. The comparison only includes numbers for the GeForce RTX 2080 Ti, and we tested with both RTX and DirectX 12 enabled, using today's GeForce 418.91 driver and today's Battlefield V update on our VGA review test system. TechPowerUp has a great article on the update with screenshots! Honestly I'm not sure I would have noticed any difference but the performance boost is nice. 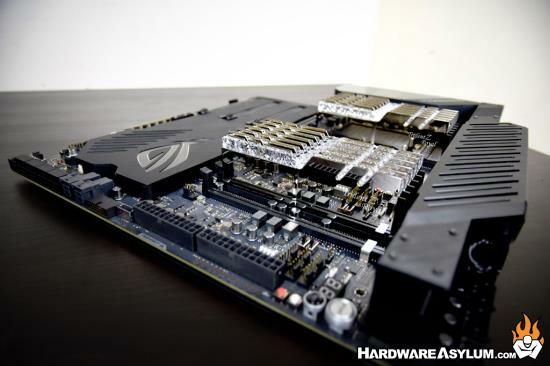 "The EVGA Z390 DARK is a 3rd generation model built exclusively for ultimate performance with improved and upgraded component selections, VRM, NVMe I/O, and PCB layout, compared to the flagship X299 DARK." The power of the DARK side of EVGA's Z390 motherboards is now available! After setting the bar with the X299 DARK, EVGA went back to work to design the next generation of motherboards designed exclusively for the world's top overclockers... or those looking to become one of the world's top overclockers. 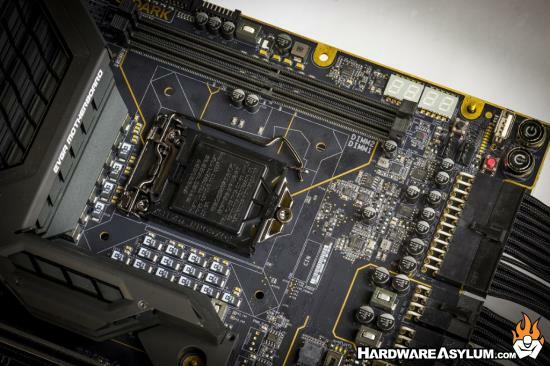 No effort was spared to improve the power design, layout, or features of the Z390 DARK. The entire VRM is cooled with a large passive heatsink. This design allows for chassis airflow to pass unimpeded over the top of the power connectors, across the cpu and memory, and through the rear-panel heatsink. USB BIOS Flash Without a CPU - The dedicated internal USB port on the motherboard allows you to update your motherboard BIOS even if you don't have a CPU or cannot boot into the motherboard BIOS. Multi-Function POST Indicator - Fully configurable in BIOS, these LEDs can be configured to show temperatures, voltages or cycle both in real-time. Right Angle Headers - 24-pin power, both 8-pin CPU power, Fan, Probe-It, and USB 3.1 Gen1 headers – Hand-crafted design to provide clean system assembly without cable clutter. Visual Guide / Bench Table - Every EVGA Z390 Dark is packed with a printed PCB showing components, LEDs, PCIe lane breakdowns, and other helpful information. More importantly, this PCB with included standoffs doubles as an open-air testing or benching station, providing clearance for heaters, condensation isolation, and storage devices. PCIe / DIMM Status LEDs - PCIe / DIMM status LEDs allow for easy system assembly and troubleshooting at a glance. The EVGA Z390 DARK is finally here to convince you to give yourself to the DARK side of the EVGA Motherboard lineup. Go on, the DARK is waiting. Slow Mode switch locks CPU multiplier to lowest possible setting to allow users to switch between max OC and low speeds in real-time. Taipei, Taiwan (30 January 2019) – G.SKILL International Enterprise Co., Ltd., the world’s leading manufacturer of extreme performance memory and gaming peripherals, is exhilarated to announce new ultra-fast, ultra-high capacity Trident Z Royal DDR4 RGB memory specifications designed for use with the latest unlocked 28-core Intel® Xeon® W-3175X processor. Operating in hexa-channel with 6- or 12-module kit configurations, these new 6-channel Trident Z Royal memory kits can reach insane memory speeds of up to DDR4-4000 CL17-18-18-38 at 1.35V, which feature extreme performance Samsung B-die memory ICs. With fast memory speed and massive capacity, these hexa-channel memory kits are perfect for heavy-workload workstations when paired with the 28-core Xeon processor. These extreme performance Trident Z Royal DDR4 RGB memory kits will support the latest Intel XMP 2.0 for easy overclocking setup and will be available via G.SKILL worldwide distribution partners. 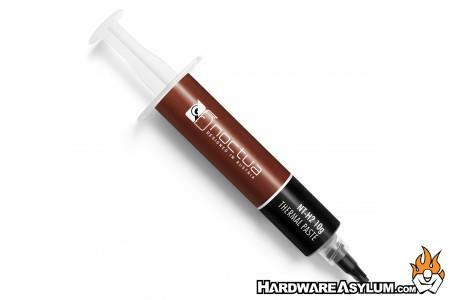 Vienna, January 29th 2019 – Noctua today introduced NT-H2, the further improved second generation of its award-winning hybrid thermal compound. Combining the iconic NT-H1’s proven features, superb ease of use and renowned long-term stability with a novel, fine-tuned formula of microparticles for even better thermal performance, NT-H2 is an enthusiast-grade paste for the highest demands. At the same time, Noctua also presented a new, large 10g pack of NT-H1 as well as NA-SCW1, a set of 20 cleaning wipes that are ideal for removing thermal compound in a quick, clean and efficient manner. NT-H2 will come in standard 3.5g and extra-large 10g packages that include three (3.5g) and ten (10g) NA-CW1 cleaning wipes for easy cleaning. Pre-moistened with a custom detergent mixture, these wipes are ideal for cleaning CPUs, GPUs and the contact surface of heatsinks in a quick and efficient manner. For enthusiast users who take off and install their coolers frequently, the NA-CW1 wipes are also available separately in a set of 20 (NA-SCW1). All models will be available via Noctua’s official Amazon and eBay within the next few days. Other sales partners will receive stock shortly. According to PCGamer they had over 4000 developers take a survey on their preferred gaming platform and it is no surprise that the PC came out on top, if only by a small margin. PC remains the most popular gaming platform among developers, and its lead over consoles and mobile is growing, according to a Game Developers Conference survey of nearly 4,000 developers. The State of the Game Industry 2019 report found that 56% of respondents had released their last game on PC, the first time the figure has topped 50%. Smartphones/tablets were the next most popular platform at 38%. Back with the first XBox release there was some major Microsoft money involved pushing to get developers to create games for the gaming console. the XBox was Microsoft’s first gaming console and as they have done with the PC their goal was to make money on the software side selling games and licenses for the new platform. Sadly the aftermath was that PC gaming suffered and has finally started to recover. I highly doubt the console and mobile space will ever be as popular as PC gaming but as the technology develops there might be a time when there is virtually no difference.